Because didn’t we all hate history in school? Who enjoys memorizing dates and the names of kings and dry facts about wars and treaties and stuff? Nobody does, but don’t we all love a good, juicy piece of gossip? Learning about the Reformation sounds really dull until you know that King Henry VIII split England off from the Roman Catholic Church because he wanted to divorce his aging wife and marry his hot, young girlfriend! I first became really interested in history when I was in Elementary School and picked up a book called Queen Elizabeth and the Spanish Armada at the school library. I probably chose it because of the picture of Queen Elizabeth on the cover and because it’s about a queen instead of a king. I probably also thought an Armada was some kind of a ball. Getting to the part about the Spanish Armada (which was a bunch of ships and not a ball at all and which fought the British navy in a battle I never really understood) took a long time, though. The author spent the first half of the book explaining Henry VIII and his six wives and how his many marriages eventually resulted in King Edward, Queen Mary and finally Elizabeth, a new religion and a war with Spain. Talk about gossip! This story is loaded with it, along with jealousy, betrayal, and several beheadings. I didn’t even mind the part about the naval battle. If this was history, I was hooked! So this is why I love writing historical fiction. Most people cringe when they hear the word research, but the research is the best part of my job. I admit I skim a lot of it. I’m still not interested in the dates or the battles, but I love finding that tidbit that makes me say, “I didn’t know that!” Because I figure if I didn’t know it, you probably didn’t either, and you’re going to be just as excited as I was to learn about it. So that’s what goes in my books—all the good, astonishing stuff we didn’t know because history class was too full of dates and stuff. 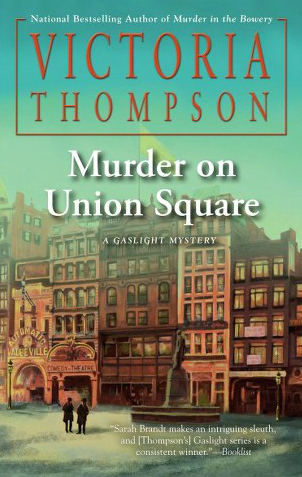 Murder on Union Square takes place in 1899. Frank and Sarah Malloy are trying to adopt the little girl Sarah rescued from a mission, but they run into a snag. They need permission from a man they have no reason to trust, and when he turns up dead, Frank finds himself accused of his murder. The victim was an actor, and I found out some very interesting things about the theater in turn of the century New York. I might have called this book Murder in Times Square, except Times Square didn’t yet exist in 1899. I might have called it Murder on Broadway, too, but Broadway wasn’t yet lined with theaters. Have you said, “I didn’t know that!” yet? I hope you’ll say it a lot as you read Murder on Union Square (which was the heart of the theater district in 1899—bet you didn’t know that!). And I promise you won’t have to memorize a single date. Victoria Thompson is the bestselling author of the Edgar ® and Agatha Award nominated Gaslight Mystery Series and the new Counterfeit Lady Series. 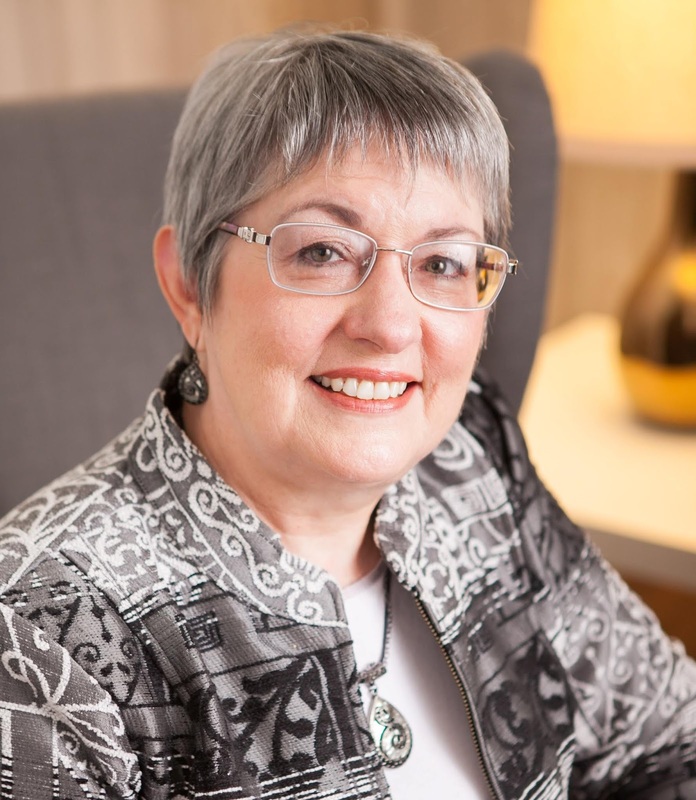 Her latest books are Murder on Union Square and City of Lies, both from Berkley. 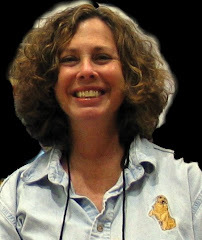 She currently teaches in the Master’s Degree program for writing popular fiction at Seton Hill University. She lives in Illinois with her husband and a very spoiled little dog. I really enjoy your series and I look forward to this one. I have to agree that research is half the fun, and that surprised me. Thank you for providing some great reading times for me. I have every one of your books, Victoria, even though initially I didn't think I'd like to read about a midwife. I love them and am always looking forward to the next one. I got interested in history when I discovered and read Alice Turner Curtis “Little Maid” books sent during America’s Revolutionary War and Civil War. The heroines were little girls around 5 or 6 years old and they interacted with real historical people. I identified with them as they were around my age. My mother was 16 when Pearl Harbor was bombed a couple of days after she arrived there - History to me was part of her life. My high school history teacher was also there, returning, drunk, from shore leave. To me, History has always been about real people so it’s almost personal. When I read a historical fiction novel or see a movie, I then find a factual source to see how accurate the book/movie was. Please keep writing your wonderful books - they bring another time alive and make it personal.